Promotional Chocolate products offer great value for promoting your brand identity and are always popular with clients and colleagues alike. 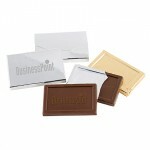 Contact us today to get your custom branded chocolate for your next corporate event. With Magellan World you can choose from a wide range of Promotional Biscuits & Cakes, Promotional Chocolate, Branded Fruit and Nuts, Branded Mints and Promotional Sweets, the perfect way to endorse your company. 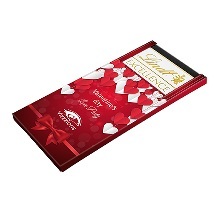 A Lindt Chocolate bar with your design on it is sure to impress your customers. 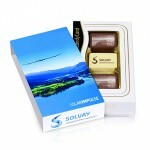 Our branded chocolate boxes are an easy way to promote your business at any event. 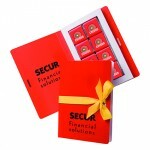 Impress your clients with a personalised Lindt Chocolate set. WE are currently offering 10% off our range of Promotional Chocolate Items. Magellans endless pursuit of the best prices for branded Chocolate items in the UK make us confident that you will not get a better product at a better price. From your initial enquiry through to receiving your professionally branded Chocolate items. The Magellan team have over 20 years of expertise within the merchandise industry. We can guide you through each stage of your order and can recommend the right branded Chocolate items for your event or promotion. 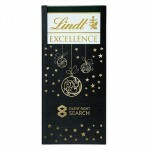 Promotional Lindt Excellence Chocolate Bar with your design printed onto the front in full colour.B.. 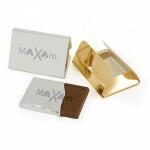 Promotional Exclusive Belgian Chocolate Single Clear Pack with your logo printed onto the top of th.. Promotional Logo Chocolate with your full colour brand design printed onto the round or rectangular.. 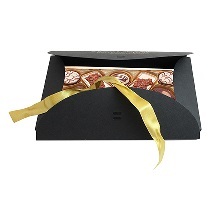 Promotional Baronette Chocolate-Presentation Box is wrapped inside gold or silver foil and a printe.. 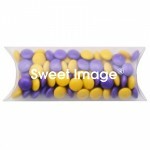 Promotional Maxi Cushion Pack with Mini Chocolate Lentils with your logo printed onto the top.Corpo.. 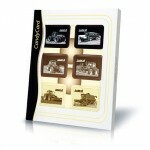 Promotional Baronette Chocolate-Small Box is wrapped inside gold or silver foil and a printed paper.. 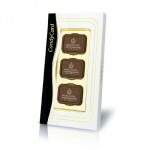 Promotional Lindt Chocolate Set with your logo printed on the top in gold.Branded Chocolate, Custom.. 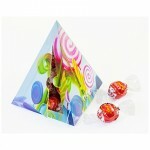 Promotional Lindt Triangle Chocolate Set with your design printed onto the Triangle Prism.Branded C.. 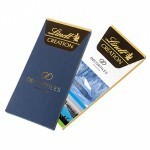 Promotional Lindt Creation Chocolate Bar with your design printed in full colour onto the front.Bra.. 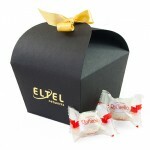 Promotional Lindt Chocolate Box with your logo printed onto the card box.Branded Chocolate, Custom .. 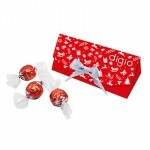 Promotional Atlas Lindt Chocolate Set with your design printed onto a triangle based pyramid net an.. 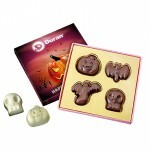 Promotional Embossed Belgian Chocolate-22g is sealed inside a cellophane wrapper and placed in a pr.. 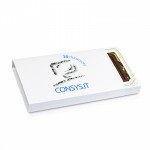 Promotional Belgian Chocolate 16 x 5g-Card Book is packaged inside a Card book with cover flap and .. 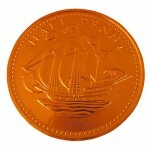 Promotional Embossed Belgian Chocolate-34g is sealed inside a cellophane wrapper and placed in a pr.. 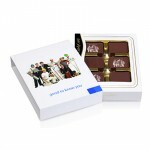 Promotional Exclusive Belgian Chocolate Box-6 Chocolates with finest sugar decorations in a persona.. 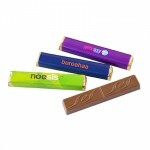 Promotional Chocolate Lentil Tube with your design printed onto a label on the side.Branded Sweet, .. Promotional Exclusive Belgian Chocolate Box-12 Chocolates contains 12 chocolates with finest sugar .. 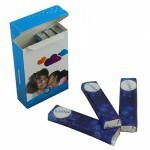 Promotional Plastic Tube of Chocolate Lentils with your logo printed onto the side of the tube.Bran.. 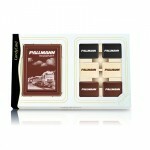 Promotional Exclusive Belgian Chocolate Box-6 Chocolates-Personalised Sleeve with finest sugar deco.. 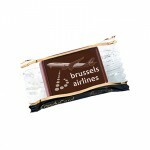 Promotional Exclusive Belgian Chocolate Box-12 Chocolates + 100g Bar contains 12 chocolates and a 1.. 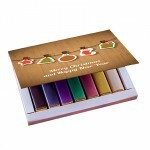 Promotional Exclusive Belgian Chocolate Box-12 Chocolates-Personalised Sleeve contains 12 chocolate.. Promotional Exclusive Belgian Chocolate Box-12 Chocolates + 100g Bar-Personalised Sleeve contains 1.. 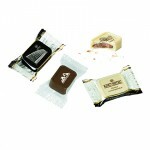 Promotional Exclusive Belgian Praline Chocolate has a Hazelnut Crème filling and finest sugar decor.. 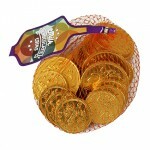 Promotional Baronette Chocolate-Single is packaged inside gold foil and a printed paper wrapping.Br.. 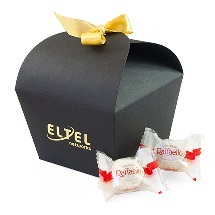 Promotional Raffaello Set with your logo embossed onto the side in gold on the black card.Branded C.. Promotional Brand Me Cube, with full colour prints on the sides of the cube.There are 20 Custom Cho.. 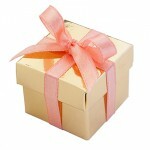 Promotional Chocolate Inside a Mini Present Box with a ribbon contains an 11g milk chocolate pralin..